Andrew Seliskar again won twice, and moves to #4 all-time for 17-18-year-olds in the 200 breaststroke with a 2:12.82. ORLANDO, Florida – Spring championships are here. 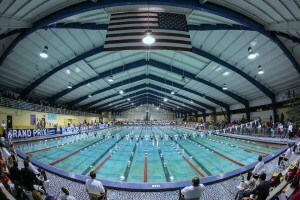 And with it, comes the NCSA Spring Championship meet held this year from March 17-21 in Orlando, Florida. 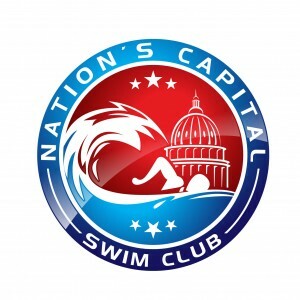 The first night in session one we saw the Nation’s Capital men and the Aquajets women dominant the field – with multiple national age group records falling. 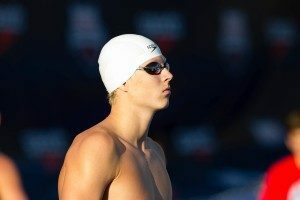 While in Wednesday’s morning session, Matt Hirshberger and Alexis Wenger both broke SCY national age group records. Last night, Hirschberger took second in the 200 free to Grant House – who finished with a time of 1:50.79 – a new personal best. Today’s prelims will feature the women’s 100 back, 500 free, 200 breast, and 100 fly; while the men will swim the 100 back, 100 free, 200 breast, 100 fly, and 800 free relay. Lucie Nordmann – the 14 year old champion from the Woodlands – finished first in the 100 back this morning by about a quarter of a second. Nordmann swam a :53.64 followed by Aquajets’ Zoe Avestruz at :53.89. St. Croix’s Mickayla Hinkle was also under :54, swimming a :53.98 to take third. John Shebat swam out in a :22.65 to finish in a :46.88 and take first at prelims. 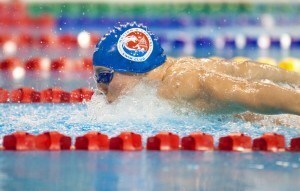 Shebat, who swims for NCAP, was the only man under :47.00. Other top prelims swimmers include Ethan Young, Brennan Balogh, and Zachary Poti. 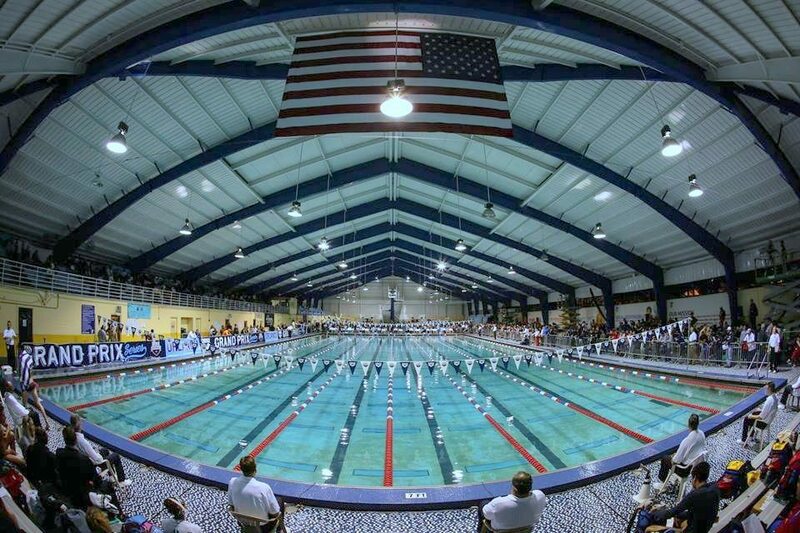 Page Maddenb – a 16-year-old from the City of Mobile Swim Club – took first in the 500 free, swimming just above her seed time at 4:45.29. Sydney Lofquist (Mason Manta rays) took second and Joy Field (Magnolia) took third. Justin Ress touched Knox Auerbach out by :00.03 seconds this morning the the 100 free! 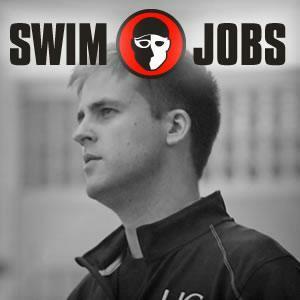 Ress swam a lifetime best of :44.23 while Auerbach touched at a :44.26. Tabahn Afrik (the top seed) was right behind them, swimming a :44.34. In the women’s 2-breast, Riley Scott took first by nearly two seconds, finishing first at a 2:11.89. Scott is a 17-year-old who swims for the Marin Pirates. Andrew Seliskar beat out teammate Carsten Vissering by three seconds, finishing 1:53.35 to 1:56.35! Lauren Case – the top seed for this event with a :52.81 – placed third in prelims, swimming a :53.54. First place went to Caroline McTaggart who dropped a second and a half off her seed time to duck under :53.00, and Cassidy Bayer snuck into second just behind her. 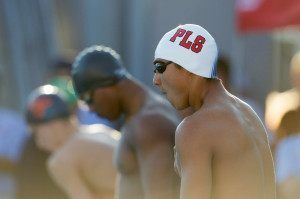 Seliskar swam just above his seed time – coming in at :46.60 – and was the only man to break :48.00. Fred Shubert and Ian Finnerty finished second and third with times of :48.04 and :48.16, respectively. NCAP dropped almost a full second off of their relay – with Andrew Seliskar leading off at a 1:34.94! It looks like there’s no much love for that meet this year. I know there are NCAAs at the same time but there’s no coincidence. I think most of swim fans dislike that SCY/LCM format. Me the first. It’s too bad because there are plenty of great young talents at this meet.